The holiday season always brings joy to both students and teachers. It is a time to rest, relax and enjoy time with family and friends. But it is also a time to look at the second half of the school year and how to start it off strong. 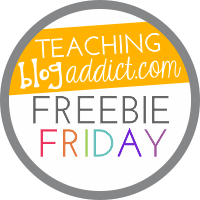 We have some tips, tricks, strategies and resources that will get you energized to start the rest of the school year off on the right foot. Before you leave for winter vacation, make sure your room is ready to go when you return in January. If you are the cleaning type, it is a great time to wipe off student desks, counter tops, ledges, and your teacher desk too. If you like to stay organized, it is the perfect time to put away your teaching resources from the curriculum you just taught, and to take out the materials you will need when you return. Another tip is to think of a new desk arrangement for when the students return. It will give your classroom a new look and students will be excited to sit in a different spot. 8 Ways for Teachers to Have Fun! Teacher burnout seems to be happening at a much faster pace these last few years in the United States. With state-mandated testing, and a lack of autonomy, teachers have felt like they are losing control of the profession they love. To combat this, we have created a list of ways that teaching staffs across the nation can bring back FUN into their lives and help boost teacher morale. We all love our students, and now it’s time to make sure that we take time to celebrate and have fun as well! Below are our top ways to do this! Who doesn’t love an excuse to have fun? Staff socials are the way to go. Whether it be going to a movie together, going out for drinks, attending a sporting event, taking a painting and wine class, doing a staff scavenger hunt, or having a staff party, it is important to take time to be with your colleagues outside of school. Who doesn’t love treats? Have a sign up sheet in the teachers’ lounge and have grade levels and departments sign up for a treat day each week throughout the school year. You can schedule them on paydays or days where you have staff meetings for a little extra motivation. It always puts a spring in our step when we walk into the lounge and see treats! You may wonder, “How will this benefit me?” Well, giving your students just 10-15 minutes of extra recess will not only make them want to work harder for you, but you deserve some fresh air as well! Take some time to be a kid again. Referee that soccer or kickball game. Or better yet, get involved and play. This always gets your students smiling and will put a smile on your face as well! Another great way to have some fun is to establish a buddy classroom. For example, fifth grade buddies up with 2nd grade. In this case, once a month these students would get together and do an activity (bingo, word searches, craft project…) or just simply read together. It is great to see students interact with each other among grade levels. It is also a great time to connect with another grade level teacher as well. Who doesn’t love an excuse to not dress professional for at least one day? Schedule some spirit days throughout the school year. Some examples could be: school colors day, pajama day, stuffed animal day, hat day, wacky hair day, and even character day! These fun days scattered throughout the year are chances for you to dress differently and have fun with your students! A trend that is becoming more popular is hosting exercise classes either before or after school for interested staff members. Some staff already are involved in various classes at local gyms and could join together to offer a class. What a great way to blow off stress and shed a few pounds all while having fun with colleagues! Another great way to have fun as a staff while contributing to a local organization would be to schedule Comfy for a Cause days once a month. On this day, a local charity is picked and the educators donate money to this charity. Staff can wear comfy clothes for the school day. Not only is it a super comfortable day for educators, but it also feels good to help out local charities as well. Teachers need a daily boost and what better way to get that then from teacher morale cards. These cards are meant to inspire and provide some helpful reminders to teachers. You can copy them off, cut out, laminate, and make them easily into a flip book You can purchase them by clicking here. Below are some examples of the cards you would receive. There are four cards to a normal 8.5 x 11″ piece of paper, so the actual size is larger than below. Fun should be a part of your routine at school! We hope we provided you with at least one idea you can take back to your staff and come up with even more ways for teachers to have fun! We would love to hear your ideas of how to bring fun back into your school as well. Please share! Please subscribe to our newsletter for monthly tips, strategies, and free resources to help boost teacher morale! We want to make a difference! We have two new products for you today – full of measurement activities to help solidify your students’ understanding of both measurement systems. Keeping both systems straight can be a problem, but with practice mastering measurements is possible! This product contains great resources to help your students learn about the customary unit measurement system! We have included student charts to help them when converting measurements in the customary unit measurement system. We also included practice activity pages for each measurement as well. Finally, answer keys are also available too! This product contains great resources to help your students learn about the metric system! We have provided charts for each of the three metric measurements in length, volume, and mass. Also included are student charts to help them when converting measurements in the metric system. We also included practice activity pages for each metric measurement as well. Finally, answer keys are also available too! One of the most difficult things for students to master is the order of the metric system. The students will understand how each level either increases or decreases by a power of 10, but knowing the order can be tricky. Here is a mnemonic device to help your students remember! Random Acts of Kindness Week! To help celebrate Random Acts of Kindness Week, we have developed a resource that is sure to be a hit with your students, and will help them practice kindness throughout not only the whole week, but the whole month, and hopefully the entire school year! There is also a set of 16 student cards that provide a detailed description of what each random act entails. Also included besides the board and cards, is a teacher lesson plan! This goes through how to introduce Random Acts of Kindness Week, and how to follow up with your class. We hope your classroom can spread some Random Acts of Kindness too! You can download the resource by clicking here. One of the most important activities you can do with your students is to teach them to become proficient readers. Reading for pleasure is wonderful, but without guidance from the teacher in learning how to use reading strategies effectively, your students will not show significant gains in reading. We have worked hard this summer to develop interactive reading strategies that can be used right away in your classroom with your students. Each PowerPoint that we have created will have students get involved in their learning. We involve the students by using the Think-Pair-Share strategy where we have them think about a question that relates to their lives, pair with a partner and then share their responses. This is a great way to involve every student right away in the lesson. We also provide the students with definitions of key terms when needed, along with information to help fill their background knowledge on each topic. There is also a teacher read aloud part where the teacher models the strategy being taught, with your choice (the teacher’s) of book that you want to use, not one dictated by a curriculum! Then each lesson ends with student assessment. We “put the strategy into practice” by having the students write about what they learned into a notebook. Having a reading notebook for each student will hold them accountable for what they learn. Also, it can be also an excellent resource to use at conferences with parents. Make sure to click here to find our interactive reading strategies titled Building Readers PowerPoints! 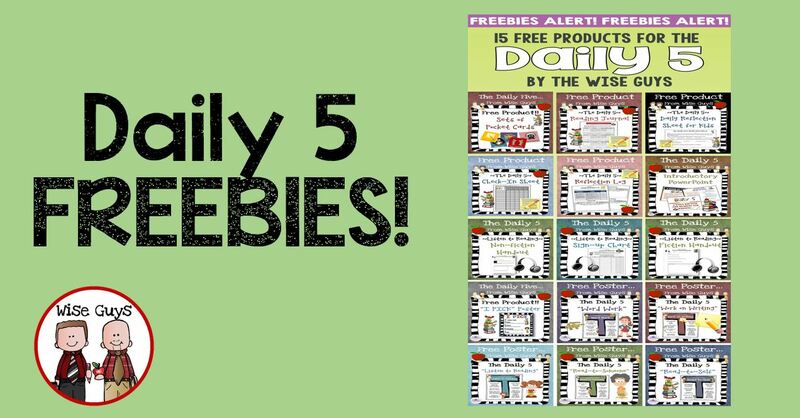 We have been working on updating our 18 FREE Daily 5 Resources and hope you can use them in your intermediate classroom. Just click on the titles below and you will be taken to each FREE individual resource. We began the Daily 5 a few years ago, and found it to be an amazing way to help our students become proficient readers and writers! Enjoy! A Must for Guided Reading! If you like all of our FREE resources, you will not be disappointed with our #1 best seller for guided reading. This contains over 4o activities to use in your guided reading classroom. We have over 25 graphic organizers that are ready to print and use. There are also creative resources such as discussion university and sticky note reading. These help students learn the reading strategies in a fun and engaging way. We also have literature and informational text task cards. These help students to better understand what the terms mean and how to be proficient in each standard area. Check it out here! Make sure to follow us on TPT. “The Daily 5 and CAFE are trademark and copy written content of Educational Design, LLC dba The 2 Sisters. Educational Design, LLC dba The 2 Sisters does not authorize or endorse these materials. Welcome to our site! We have been teaching for over 30 years at the intermediate grade level (4-6). We pride ourselves on creating lessons that are engaging, meaningful, and aligned with the Common Core Standards. We love teaching, and love sharing our resources with other teachers. We hope you can find some activities that you can use in your classroom! 15 Clever Call and Responses to Use in the Classroom! Oregon Trail Simulation Activity: Become a traveler on the Trail.